If you are looking for cottages to rent in East Portlemouth, you will certainly not be disappointed. Located within a temperate region of Devon, this small village is quite popular with tourists and even celebrities such as Michael Parkinson and Kate Bush. While you may not be a celebrity, the self-catering accommodation to be encountered here will provide you with truly scintillating views of the local environment as well as the pristine beaches that are located but a stone’s throw away. So, what are some of the main attractions in East Portlemouth and how can your experience be enhanced when choosing a rental property nearby? It should first be made clear that East Portlemouth is not a very urbanised area; perfect if you are seeking a holiday cottage away from the hustle and bustle of your normal life. While it is known that England is not necessarily famous for its hills, the village itself is actually set quite high in elevation when compared to the overall region. Thus, any cottages for rent that are located nearby will offer excellent views not only of your immediate surroundings, but of the unspoilt beaches. On a clear day, you will even be able to see as far as distant Dartmoor! This natural beauty is perfect if you and your family or friends are fans of nature. A modernised cottage will allow you to be a part of this virgin wonder while not having to sacrifice the modern conveniences that you have become accustomed to. So, expect to enjoy fresh air, miles of hiking trails, nearly vacant beaches (for the most part) and the smell of the sea breeze constantly in the air. Out of all of the UK cottages that are available, those located in the East Portlemouth area are some of the most envied and unique. 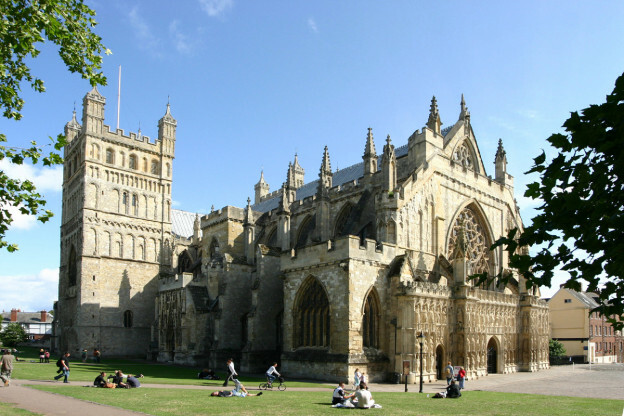 Exeter is a great place for a holiday! Simply stated, if you seek cottages for rent that offer nothing but the best in convenience, beauty and nature, look no further than the accommodation that can be found within this one-of-a-kind region within the United Kingdom.